H ello everyone, this is your host Hercules back with my first review of the IONtech series of alkaline water machines brought to you by Intel Gadgets. I previously reviewed the Aqua series by Air Water Life. This article is my IntelGadgets IONtech IT-757 Alkaline Water Ionizer Machine review. By the time you finish reading my review, you decide if IONtech is better for your home than the Aqua series. The first difference I noticed when looking at the 757 unit is its attractive design that pops off the page. You will surely have an interesting subject to talk about with your guests when they see it. In my review, I’ll guide you through all the different features of the 757, the pros and cons, the price, what people are saying about it, and my personal favorite part, all the health benefits people are getting from the unit right now. Let’s move forward now and see how the 757 stacks up compared to other machines I’ve reviewed. What are people saying about the IONtech IT-757 Ionizer? Let’s first take a look at the 757’s features. 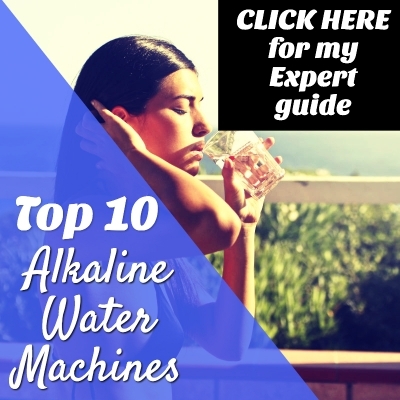 In case this is your first review here at Alkaline Water Machine Source, I’ll list off the most crucial features to consider when buying your new alkaline water machine. All alkaline water machines feature titanium plates that work the magic inside the machine to provide you with antioxidant-rich alkaline water. 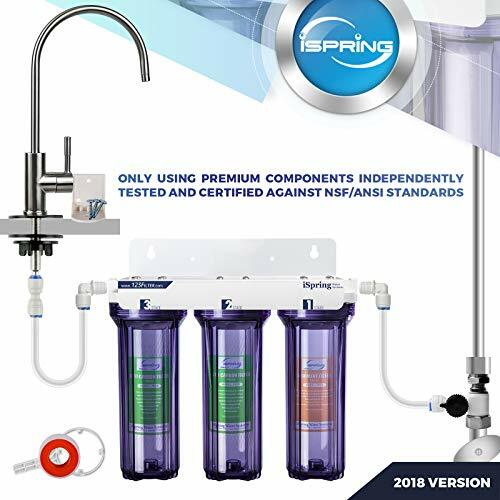 Other considerations include pH range, flow rate, weight, size, number of filters, type of filters, filter life, warranty, number of water settings and several other factors. The IONtech 757 comes with a 2-year warranty, which doesn’t quite compare to the limited lifetime warranty that comes with the Air Water Life units. However, a reliable alkaline water machine will last you a lifetime without the need for major repairs. I personally really like the attractive design of the LCD display featured on the 757. The part I love most is all the different values it displays compared to other units. On the green LCD display, you can see the current pH level, water flow rate, ORP, and remaining filter life. I haven’t seen other units that offer all that valuable information at a quick glance. The 757 uses five premium platinum-coated titanium plates to ionize the water. Five plates are standard for this price range. Other ionizers with 7 or 9 plates typically cost more. The 757 uses one high-efficiency ACF-1 activated carbon filter that can filter 1250 gallons before needing to be changed. This filter should last most people at least 6 months or up to a year at about 3 gallons per day. You can be confident that the filter removes harmful substances including chlorine, pesticides, and dirt. You can make water in a pH range of 4.5-11 with the 757. Most people use acidic water for cosmetic use such as cleaning the face. The alkaline water is what will boost your health and make your morning coffee taste better. The maximum ORP (Oxidation Reduction Potential) value is -850mV which is quite high for this price range. 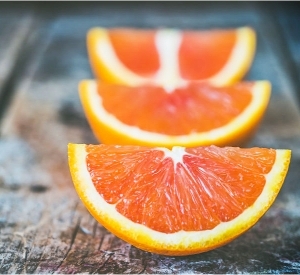 The lower the ORP, the more anti-aging antioxidant benefits you get in every glass. Most people are saying that the installation of the 757 is as easy as “123.” The unit can be installed on the countertop or under the sink. Below, you can see the installation videos that make your life even easier. The extra long hose makes pouring water easier than other units I’ve reviewed. Another cool feature is the plus and minus buttons that let you choose exactly which pH you prefer. Other units don’t offer this option. There’s a safety feature that makes sure you and your family don’t accidentally drink acidic water. A quick-change filter feature makes changing filters a breeze. There are seven water settings to choose from: 4 alkaline, 2 acidic, and 1 purified water setting. The Air Water Life series offers the same options. The 757’s dimensions are 8.7″ Length x 4.9″ Width x 12.2″ Height. The self-cleaning feature on the 757 is super smart. Each time you finish using it, it does a quick 10-second chamber cleaning. Then, each time 7.9 gallons have gone through it, it does a full 2-minute cleaning with music to let you know when it’s finished. The IONtech 757 weighs 10.86 pounds, which is average for an alkaline water machine. Unlike the other units I’ve reviewed, the 757 works with both 110v and 220v, which is good news for international buyers. If you need a 220v connection make sure to contact the seller before purchasing. IONtech makes it simple for you to install the unit with its detailed instructional videos for both countertop and under the sink installations. As I mentioned before, most people are saying that the installation was a piece of cake, but it doesn’t hurt to have videos as well. I know I for one am a visual learner. The universal attachments that come with the IT-757 fit almost all sinks. Click here for the IONTech Chrome Plated Alkaline Water Ionizer Faucet Tap. If you don’t want to install the under the sink version yourself, Amazon offers an affordable expert installation package. The Amazon experts will remove the old parts and put in the new parts. They will then test to make sure everything is in tip-top shape before cleaning up. 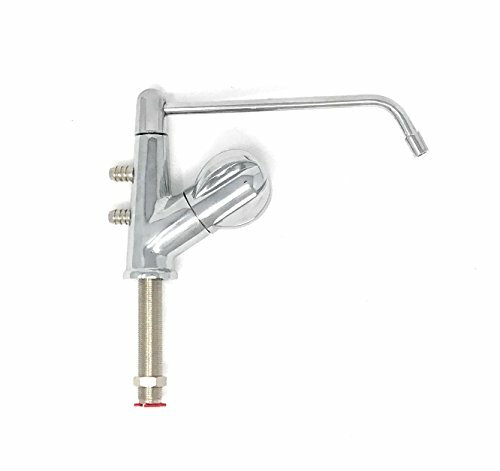 Make sure to choose the expert installation option before adding the chrome plated faucet tap to your cart. 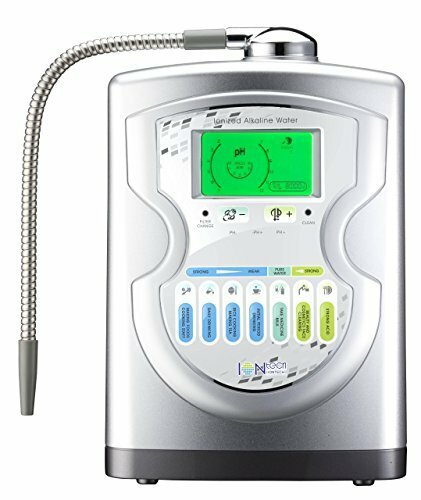 Where do you plan to install your new alkaline water machine? Do you prefer under the sink or on the counter? Here we are at the all-important filter replacement section. My favorite ionizers that I’ve reviewed only require a single filter. The Bawell Platinum Model 2195 is the only ionizer I’ve reviewed so far that uses two filters, but on the bright side, the filters only need to be replaced once a year. This IT-757 unit uses a single high-efficiency activated carbon filter that lasts for a minimum of six months or approximately 1250 gallons. If you’re alkalizing three gallons or less a day, then each filter should last you a year or more. The replacement filter for the IONtech unit costs just under $70, which is about $20 more than the filters for the Air Water Life Aqua series. However, the IONtech uses what I think is a higher grade filter. 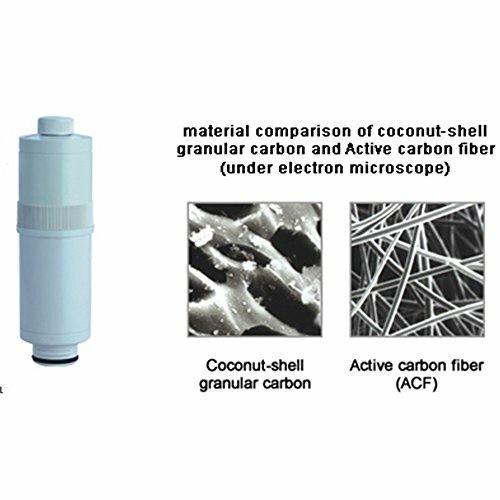 The carbon is a high-efficiency form instead of the lower grade coconut shell granular carbon filters. The advertised life of the replacement filter is a whopping 1,500-3,000 gallons! That’s the longest lasting filter I’ve come across. If you want to go a step further, IONtech recommends using a 3-stage water filtration system to filter the water before it enters the machine. The advantage of filtering the water before it enters the machine is it will make the plates in the ionizer last longer and extend the life of the carbon filter. Keep in mind, the 3-stage prefiltration system is 100% optional. Although, if you have space and a little extra money lying around, I’d recommend it to get the best water humanly possible. Now, let’s see how the IT-757 measures up to the other alkaline water machines I’ve reviewed. We will also look at the pros and cons of owning the unit according to what current owners are saying. Users recommend not using a reverse osmosis system to filter the water before it enters the machine. If you do filter the water first, use the 3-stage type filtration system I mentioned above. Several users with hard water reported having to change the filter twice per year. The activated carbon filter that comes with the machine removes harmful chemicals, bacteria and lead from the water before it goes through the alkalization process. Users estimated a flow rate of about 1 gallon every 1-2 minutes with standard water pressure. Unlike a couple of the units I’ve reviewed, the manufacturer says that the 757 does not require an annual cleaning with citric acid. IONtech recommends running acidic water made by the machine through it to prevent any buildup. In other words, you never need to open it up to clean it. One woman in her late 40s reported great customer service from Stan, and she said installation was a piece of cake. And the last, and my personal favorite part of every review, health benefits. Are people experiencing the alkaline water benefits that everyone is raving about? One woman’s sister relieved her back pains after drinking alkaline water for a few months. A man reported feeling very refreshed after drinking alkaline water. He is also happy with his investment, saying that he’s saved money already by buying the ionizer. A person with an autoimmune disease (Hashimoto’s) reported reduced leg swelling, more stamina, and greater mobility since beginning to drink alkaline water from the 757. At first, I wasn’t sold on the IT-757 after reviewing the Air Water Life Aqua series, but the more I researched the 757, the more I liked it. Almost every verified reviewer had something positive to say. I also love all the options the IT-757 provides on the LCD display. The 757 is the same price as the Aqua 7.0. The Aqua 7.0 has 7 titanium plates while the 757 has five, but I think the extra options included in 757 makes up for it. The 757 is another machine I’ve reviewed that is under $1,000 and from my extensive research, I’ve found that there’s no need to pay over $4,000 for an alkaline water machine. You will reap the health benefits and save money in the long run, not to mention the anti-aging benefits of drinking antioxidant-rich alkaline water.